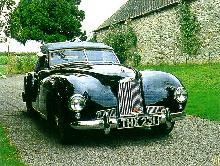 Only 14 of these handsome convertibles were ever produced from 1948 to 1950. 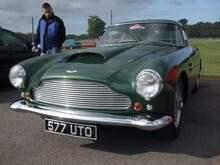 Retrospectively known as the DB1, this car was the first produced by Aston Martin since it had been purchased by David Brown (later Sir David Brown). 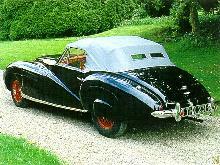 The Two Litre Sports was powered by a 1970cc, pushrod four cylinder engine, producing 90bhp. 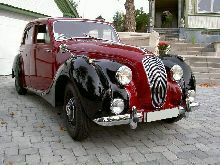 The car had independent front suspension and featured spare wheel compartments in the front wings. 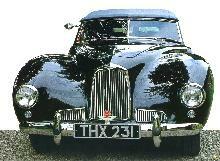 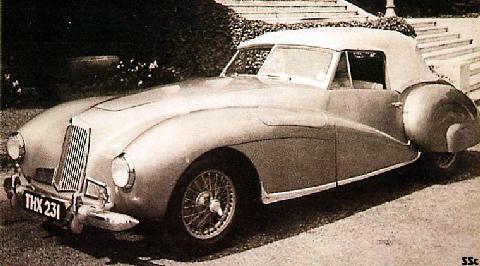 This attractive sports car was replaced in 1950 by the more successful DB2.